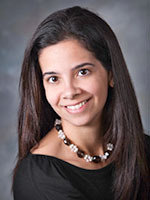 Debby Almeida is a graduate of Albany Medical College, Albany, New York, and completed a Family Medicine residency at Albany Medical Center. She is board certified by the American Board of Family Medicine. Dr. Almeida is a certified diplomate of the American Board of Obesity Medicine and director of the Center for Weight Management at Hawthorn Medical. She is a member of the American Academy of Family Physicians and has practiced in the Dartmouth area since 2008.